Most people are aware of the pain-reducing aspects of chiropractic, but other outstanding benefits for generalized care are improved sleep and digestion, as well as optimal nervous, reproductive and immune system function. We’re able to restore optimal nervous system function through the following well-respected chiropractic techniques, sometimes complemented by physiotherapy or massage therapy if needed: Activator Methods™, Diversified, Cranio-Sacral work, extremities, and Webster Technique. 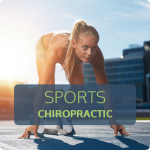 Through our expertise and experience handling sports injuries, we’re able to help athletes from every walk of life enhance their performance and recover quickly from trauma. We have the capability of adjusting almost every joint in the human body, including the wrists, hands, fingers, elbows, shoulders, hips, knees, ankles, feet, and toes. We also offer customized treatment plans depending on whether you’re currently active in your sport or in the off-season. Many professional athletes have walked through the doors of our clinic over the years, including players from the Minnesota Vikings, the Minnesota Twins, and the Minnesota Wild! We encourage our practice members to consult with us in a timely manner following a car accident or work-related injury. We see many people saddled with chronic pain conditions stemming from untreated injuries that occurred decades ago. Chiropractic care can help you avoid years of misery by seeking treatment as soon as possible. We work hard to obtain your trust, and nothing makes us happier than to fulfill your health needs. Walk-ins are welcome, and we accommodate same-day appointments. 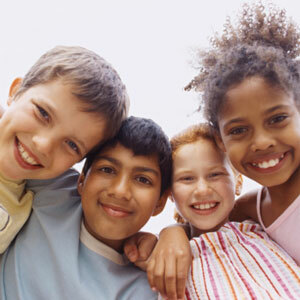 We also accept most insurance, including Medicare and Medicaid. Contact us today!